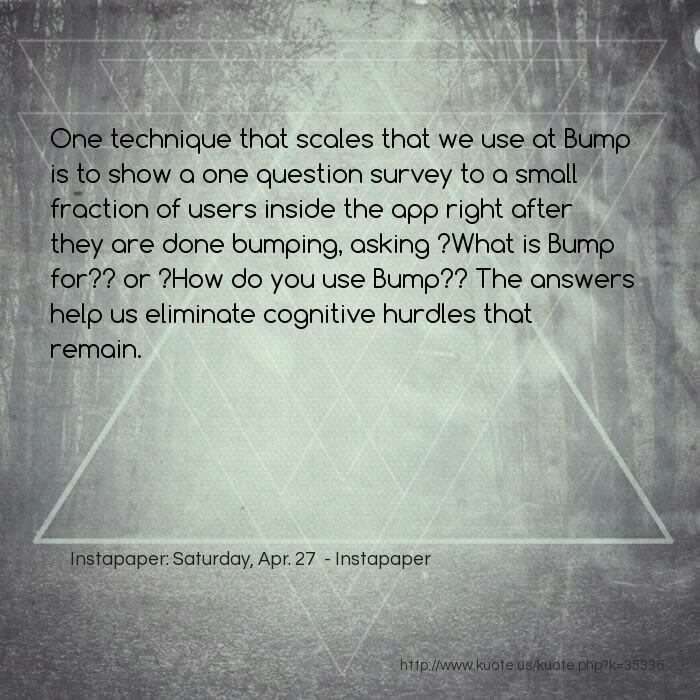 One technique that scales that we use at Bump is to show a one question survey to a small fraction of users inside the app right after they are done bumping, asking ?What is Bump for?? or ?How do you use Bump?? The answers help us eliminate cognitive hurdles that remain. 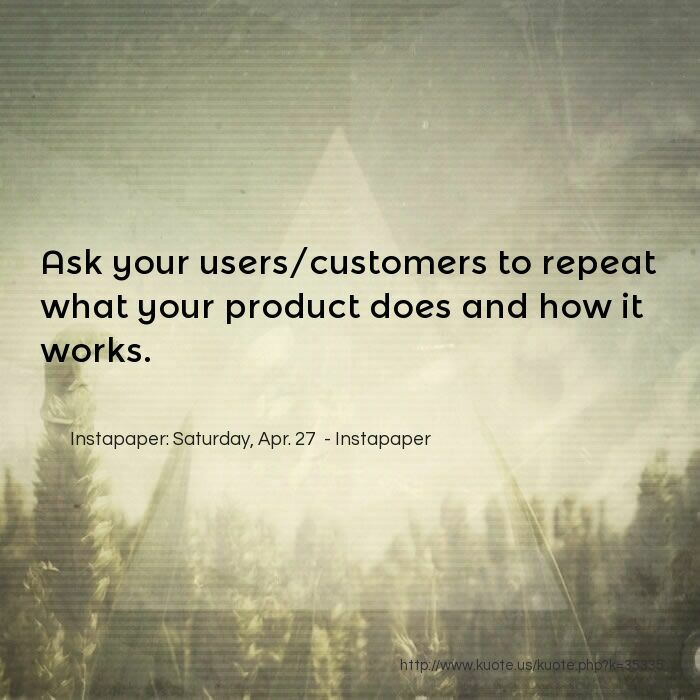 Ask your users/customers to repeat what your product does and how it works. 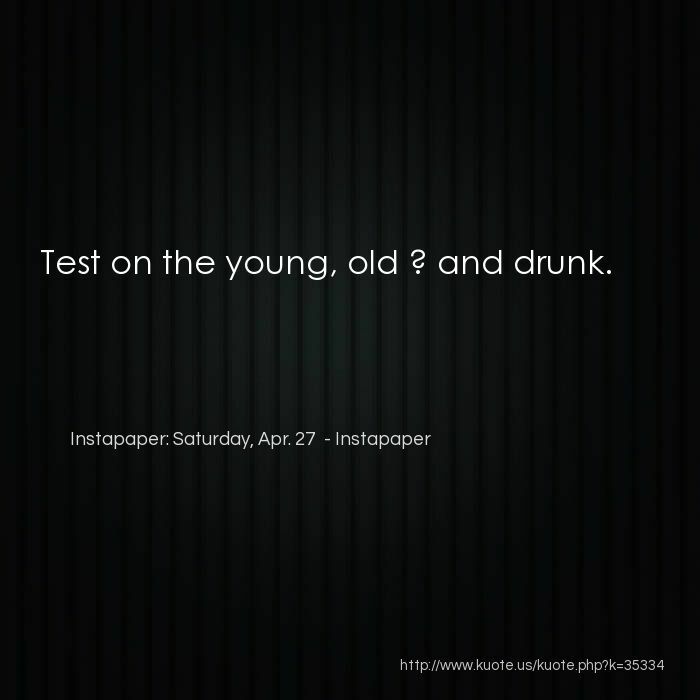 Test on the young, old ? and drunk. 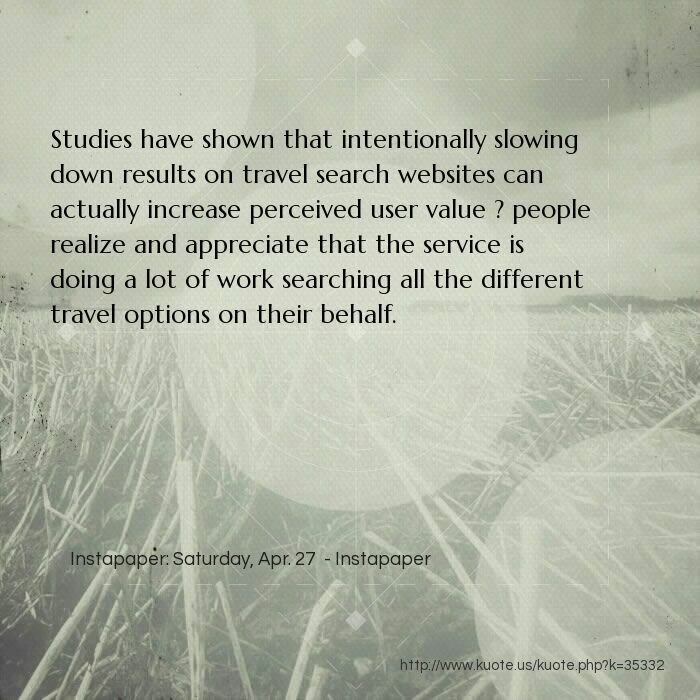 Studies have shown that intentionally slowing down results on travel search websites can actually increase perceived user value ? people realize and appreciate that the service is doing a lot of work searching all the different travel options on their behalf. If your user has to wonder, ?So, did it work?? you?ve failed. 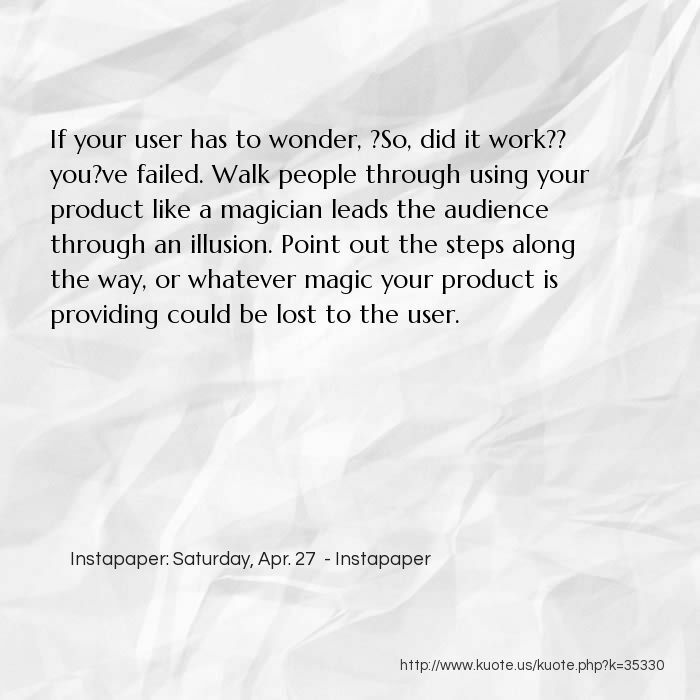 Walk people through using your product like a magician leads the audience through an illusion. 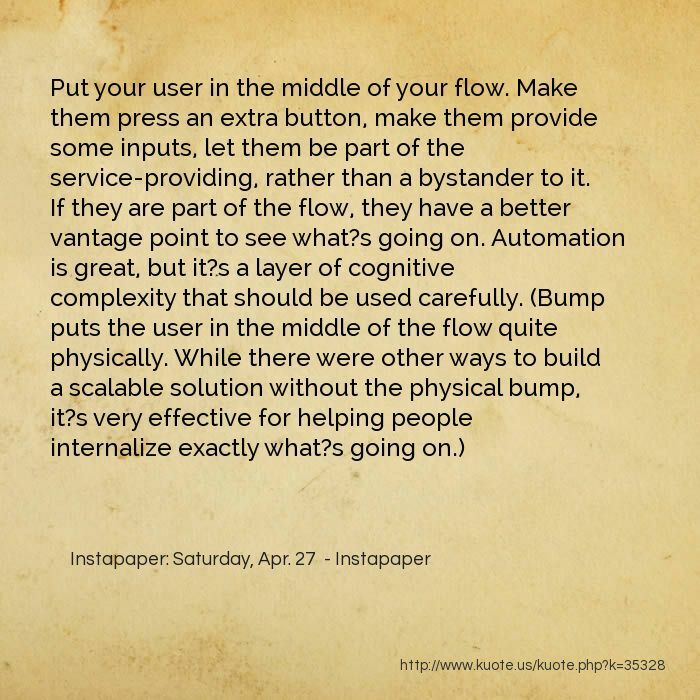 Point out the steps along the way, or whatever magic your product is providing could be lost to the user. 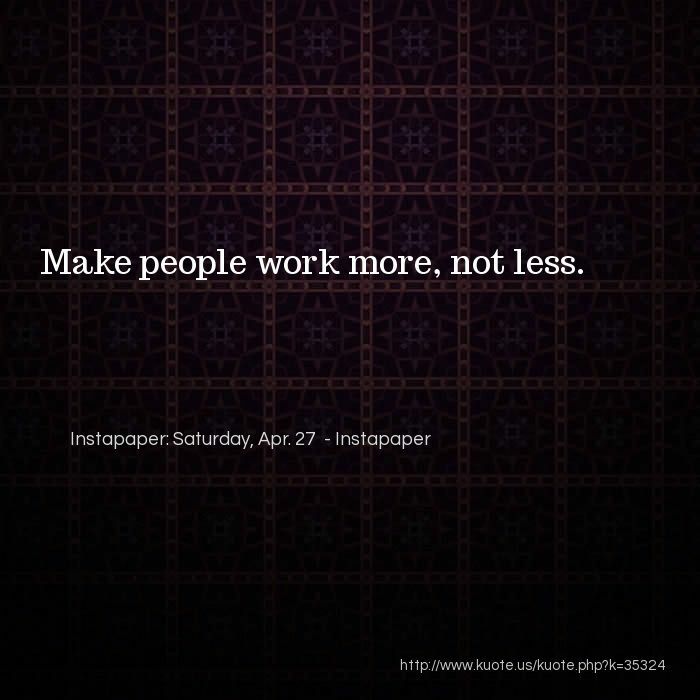 Make people work more, not less. Facebook ? 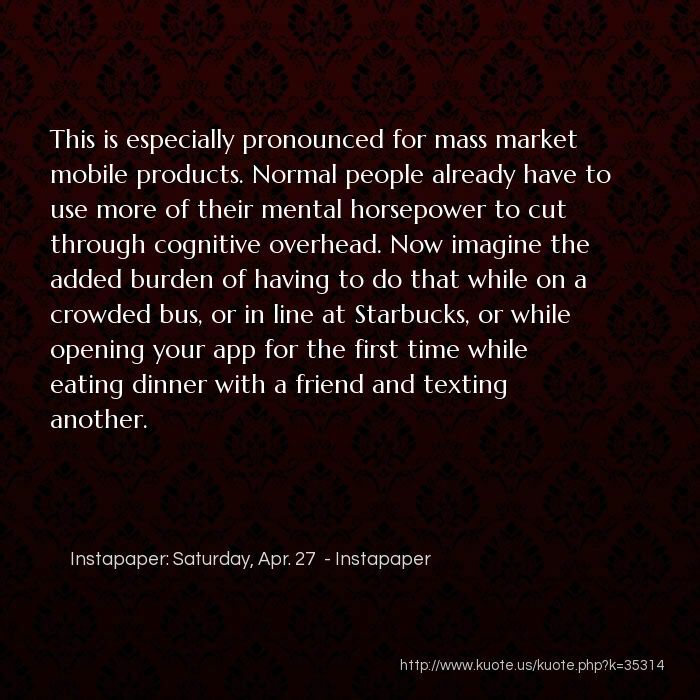 Facebook started out with very low cognitive overhead ? it was a digital version of the paper Facebooks that already commanded high engagement and retention of college kids. 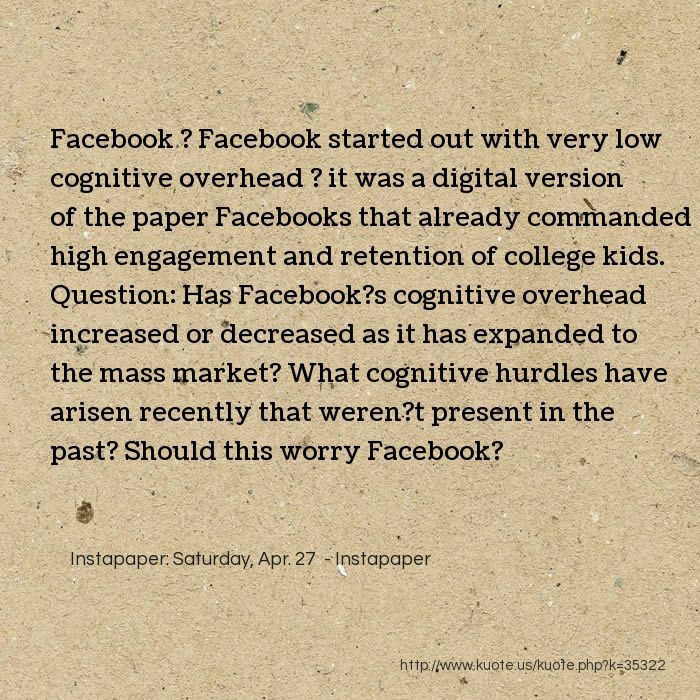 Question: Has Facebook?s cognitive overhead increased or decreased as it has expanded to the mass market? 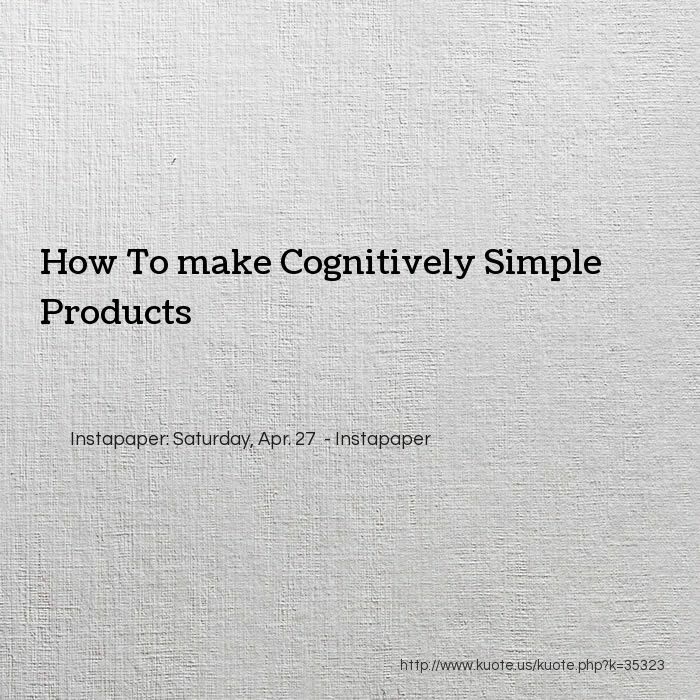 What cognitive hurdles have arisen recently that weren?t present in the past? Should this worry Facebook? Dropbox ? I love Dropbox. All of my stuff is in my Dropbox; Dropbox is on all my devices; so all my stuff is on all my devices. Pretty cognitively simple. But there are certainly some potential cognitive hurdles, or, perhaps better put, cognitive activation energy required before reaching the low cognitive overhead state. 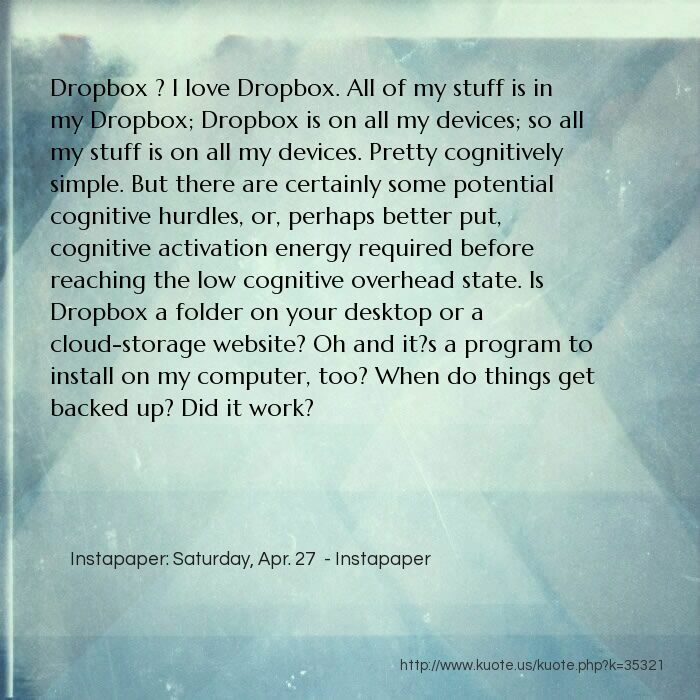 Is Dropbox a folder on your desktop or a cloud-storage website? Oh and it?s a program to install on my computer, too? When do things get backed up? Did it work? Nintendo Wii ? 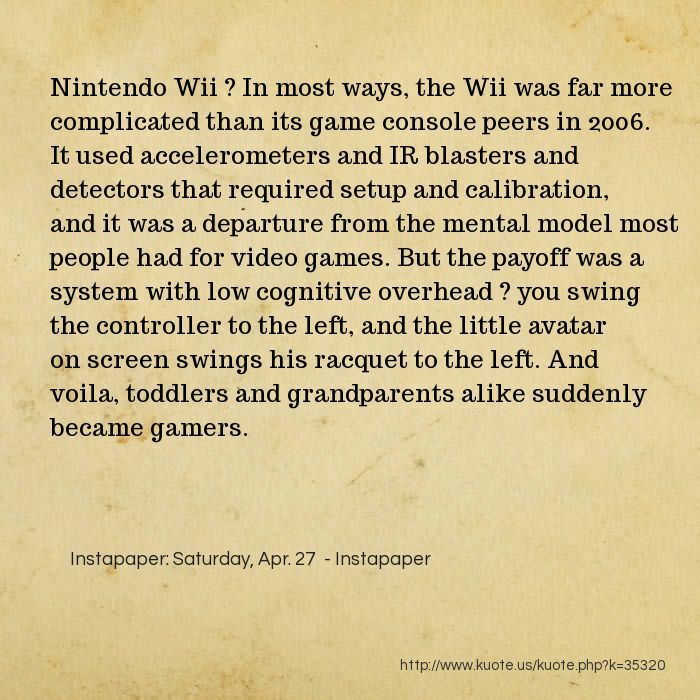 In most ways, the Wii was far more complicated than its game console peers in 2006. It used accelerometers and IR blasters and detectors that required setup and calibration, and it was a departure from the mental model most people had for video games. But the payoff was a system with low cognitive overhead ? 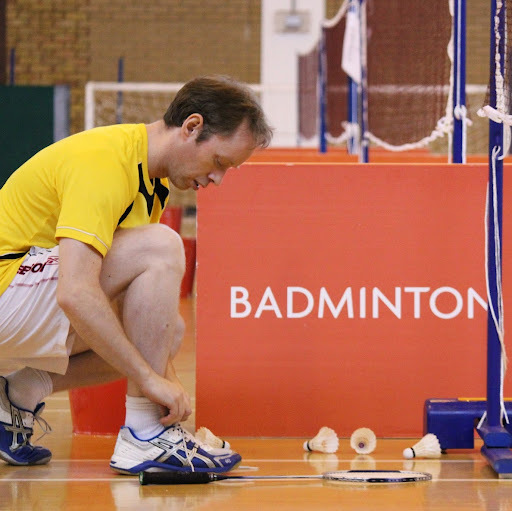 you swing the controller to the left, and the little avatar on screen swings his racquet to the left. And voila, toddlers and grandparents alike suddenly became gamers. Shazam ? An app that magically hears what song is playing and tells you what it is? Seems pretty complex, and what?s happening under the covers actually is. But Shazam does a phenomenal job keeping the user?s cognitive burden low. They force people to press a button to ?start listening,? 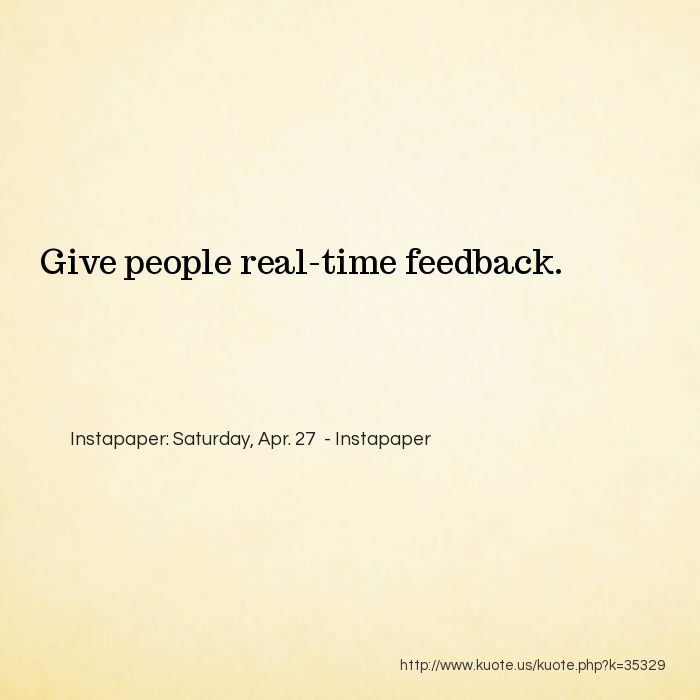 show real-time feedback that shows the app is hearing the sounds, and it buzzes when a result is found. 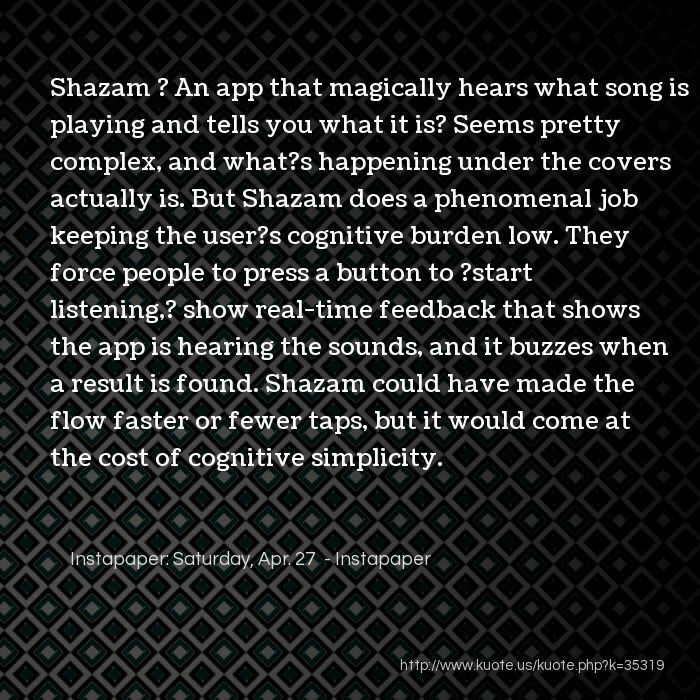 Shazam could have made the flow faster or fewer taps, but it would come at the cost of cognitive simplicity. 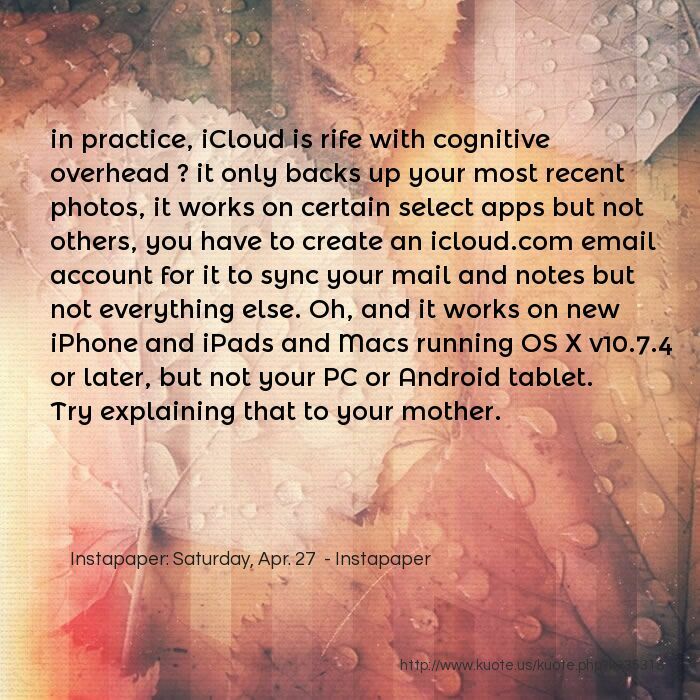 in practice, iCloud is rife with cognitive overhead ? 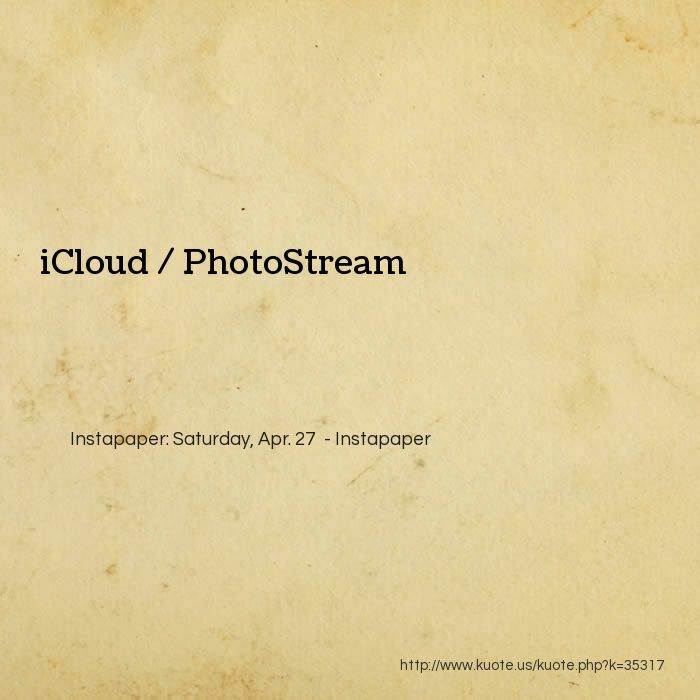 it only backs up your most recent photos, it works on certain select apps but not others, you have to create an icloud.com email account for it to sync your mail and notes but not everything else. Oh, and it works on new iPhone and iPads and Macs running OS X v10.7.4 or later, but not your PC or Android tablet. Try explaining that to your mother. QR Codes ? 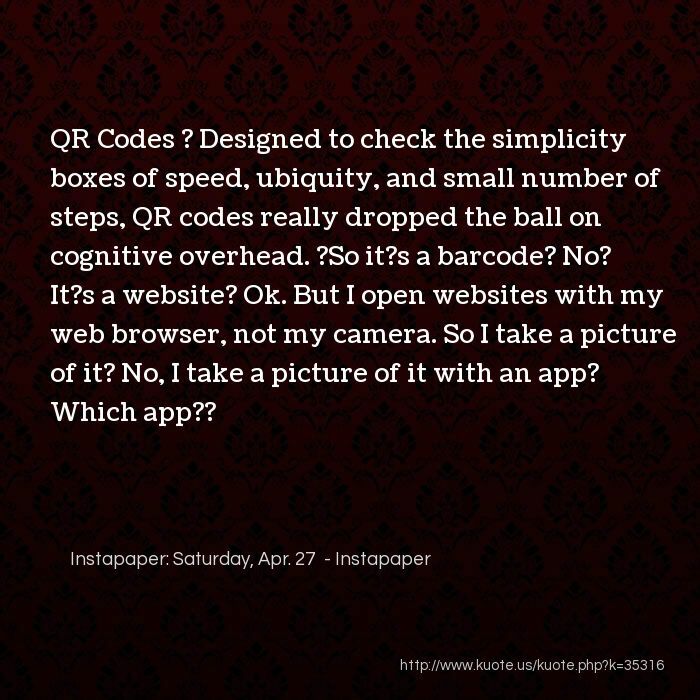 Designed to check the simplicity boxes of speed, ubiquity, and small number of steps, QR codes really dropped the ball on cognitive overhead. ?So it?s a barcode? No? It?s a website? Ok. 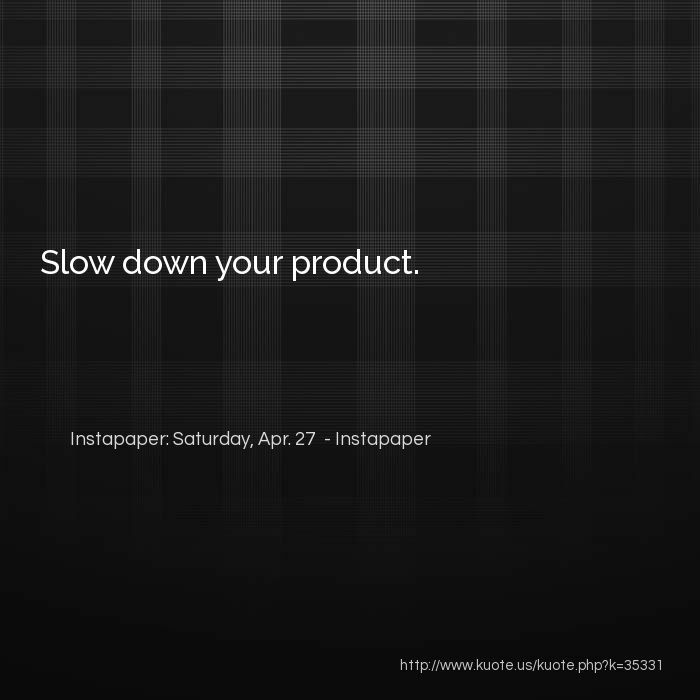 But I open websites with my web browser, not my camera. So I take a picture of it? No, I take a picture of it with an app? Which app?? 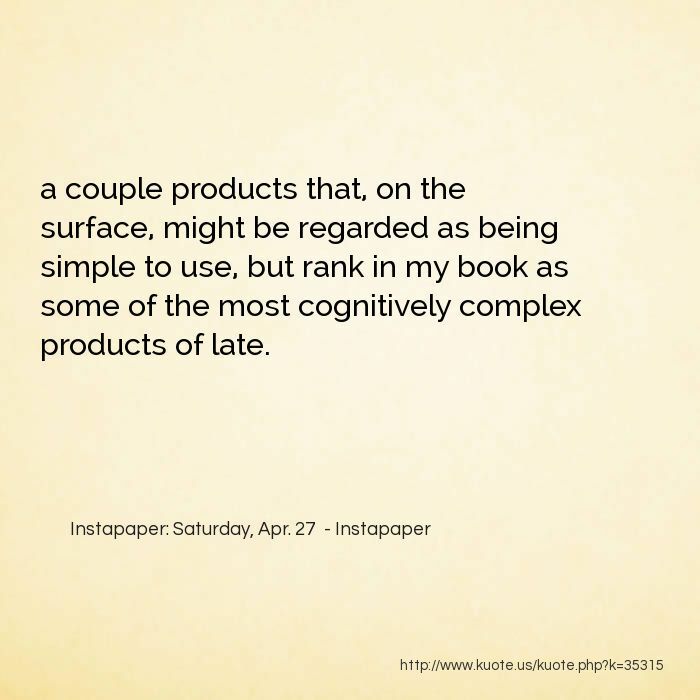 a couple products that, on the surface, might be regarded as being simple to use, but rank in my book as some of the most cognitively complex products of late. This is especially pronounced for mass market mobile products. 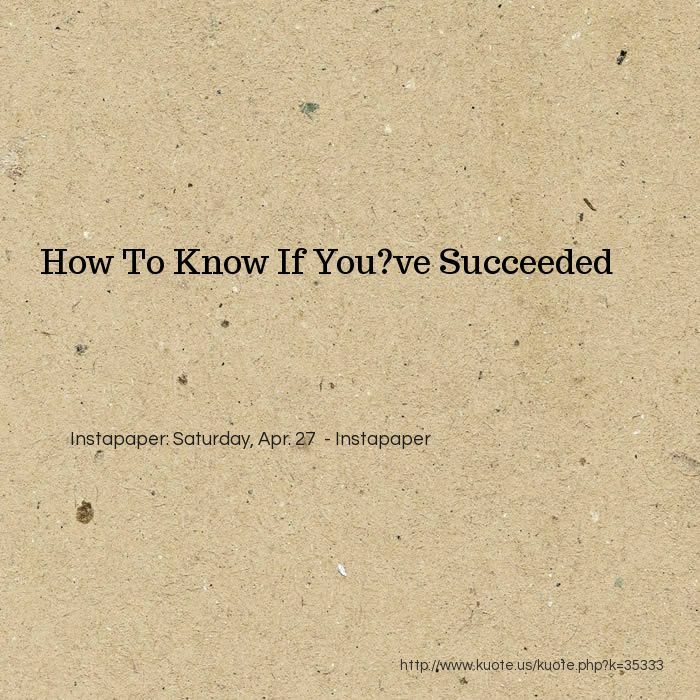 Normal people already have to use more of their mental horsepower to cut through cognitive overhead. Now imagine the added burden of having to do that while on a crowded bus, or in line at Starbucks, or while opening your app for the first time while eating dinner with a friend and texting another.